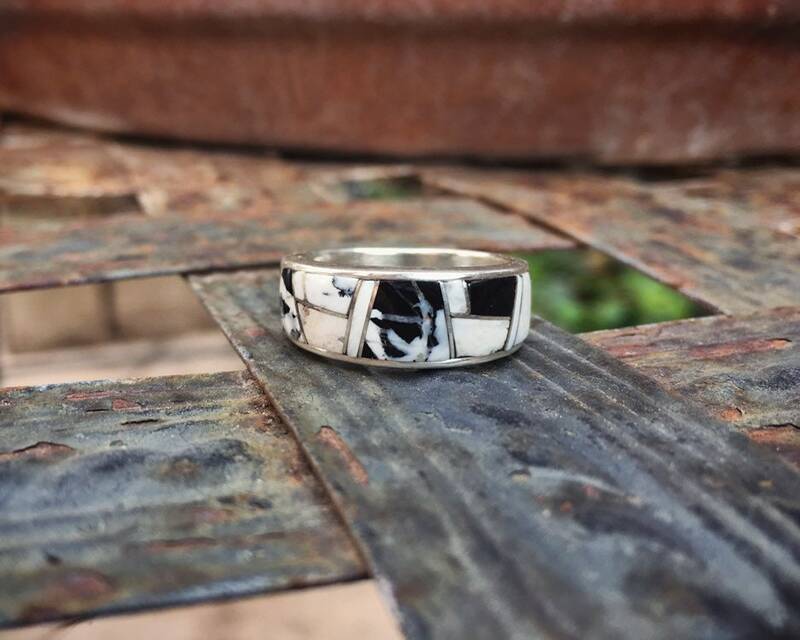 This band is a great unisex ring. 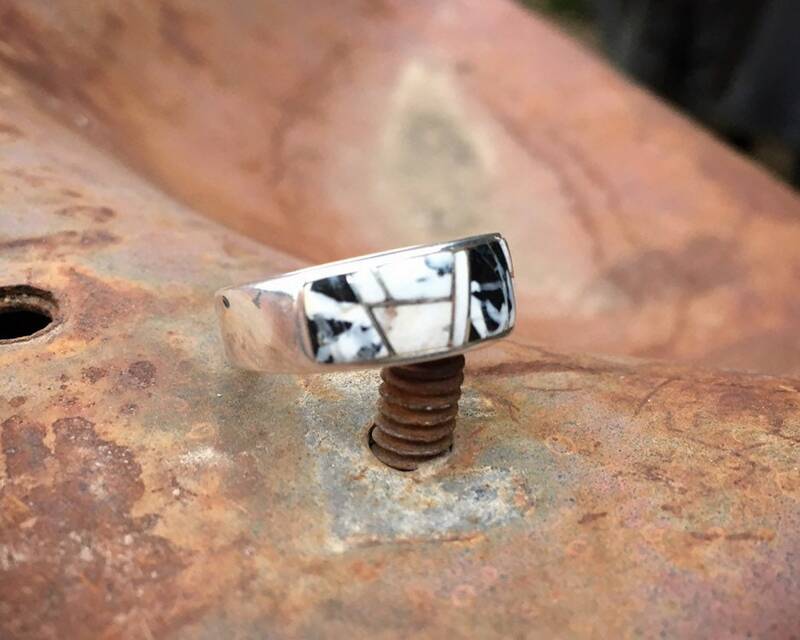 It's made using the technique "channel inlay" in which pieces of gemstone are cut and laid between thin borders or "channels" or sterling silver. 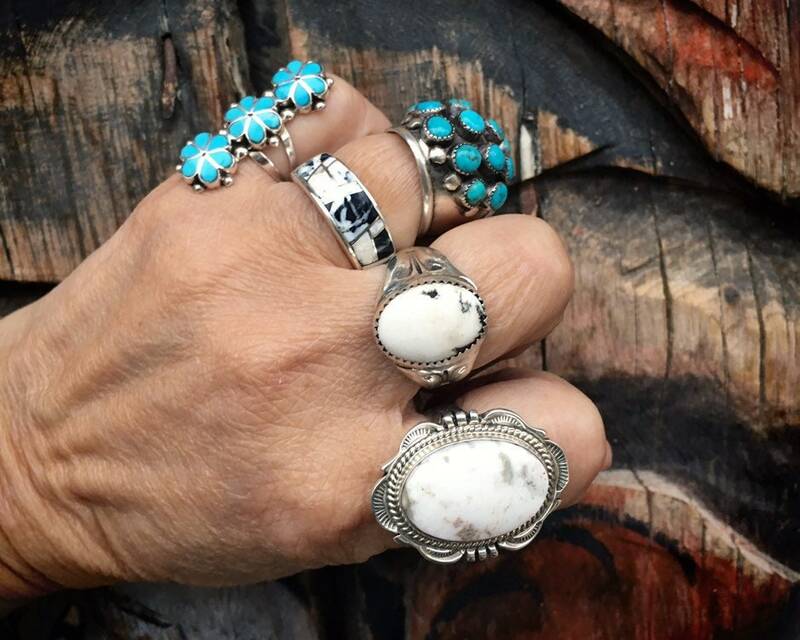 In this case the gemstone is White Buffalo Turquoise, and before I go further, I should point out that there is some debate as to what we call White Buffalo. 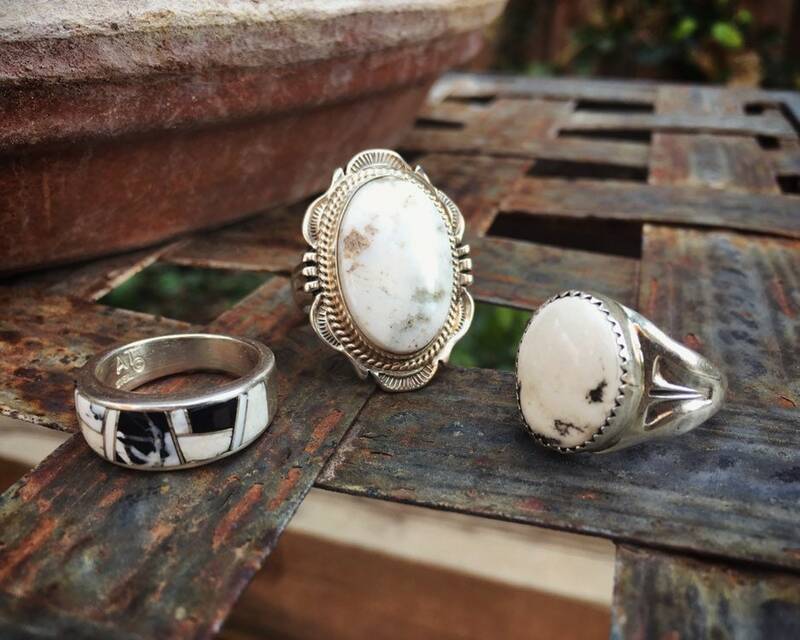 Since there is such a thing as White Turquoise, which mined from several turquoise mines, such as Dry Creek and Sacred Buffalo, the stone is this ring is often referred to as White Buffalo, as it comes from a mine by the same name in Tonopah, Nevada. 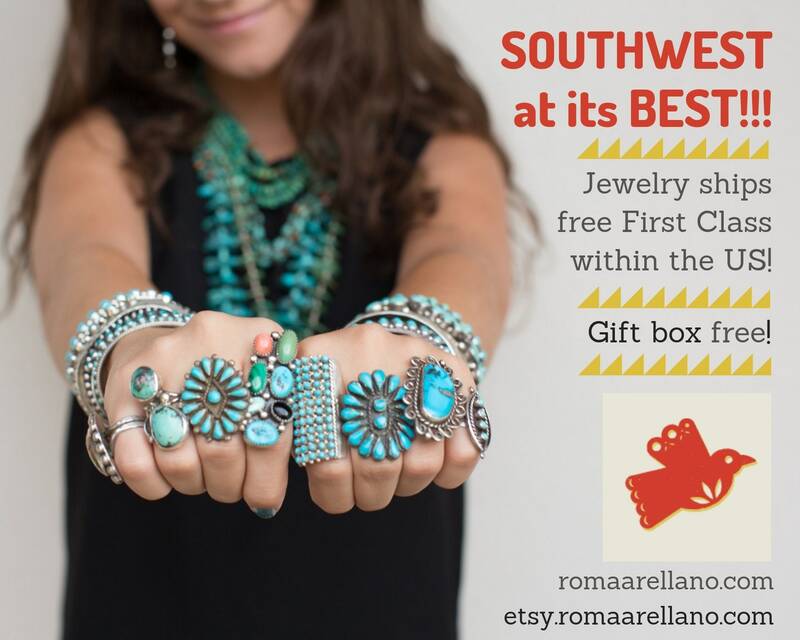 It lies in veins like turquoise and is surrounded by black chert, and it polishes like turquoise. 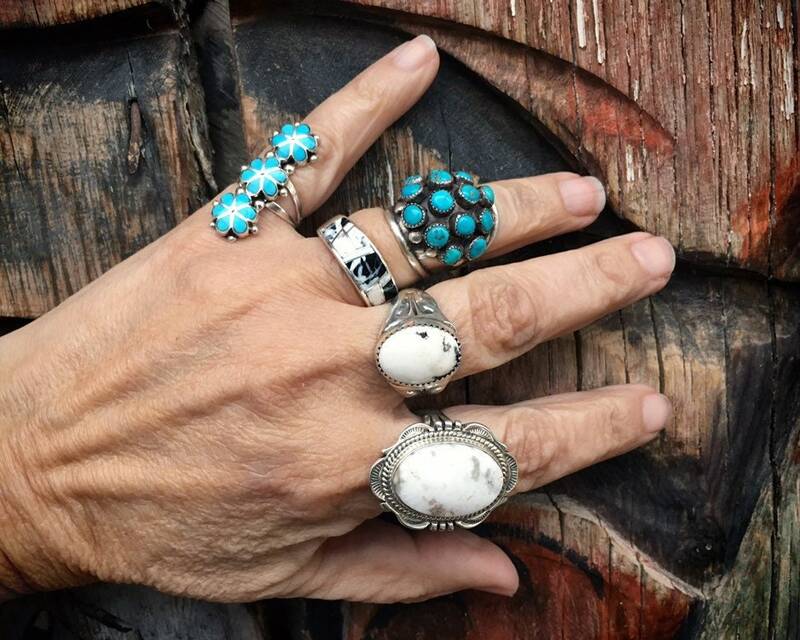 It's a quite beautiful stone, and this piece is especially striking on a man's hand or any hand, and it sets off sterling silver rings and bracelets, as well as blue turquoise ones. 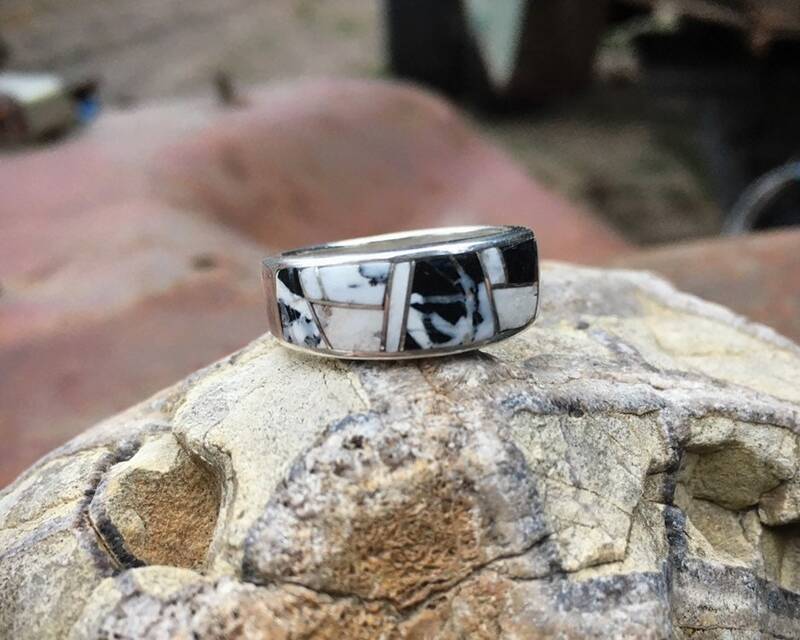 The ring carries a hallmark AT, which I have not been able to identify. 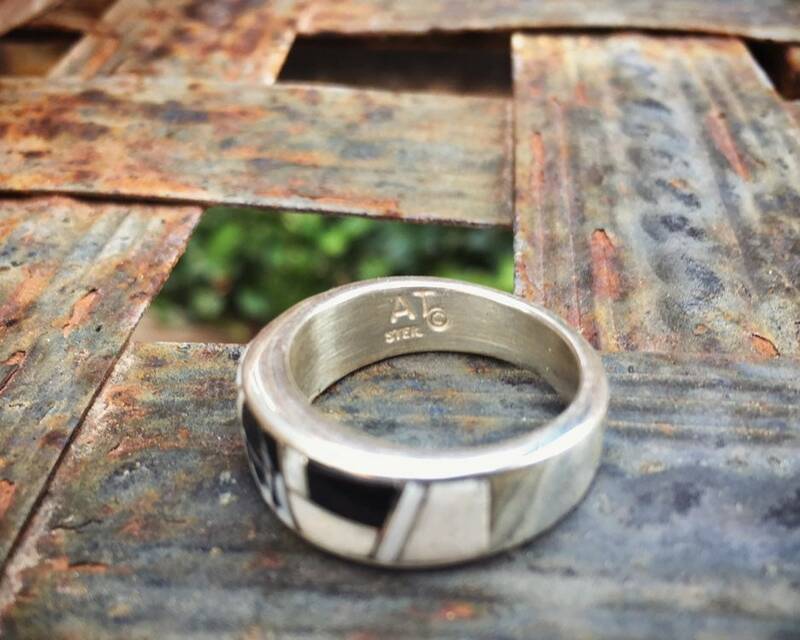 The ring is Size 8 to 8.25--it's hard to land exactly on the precise size when measuring a thick band. 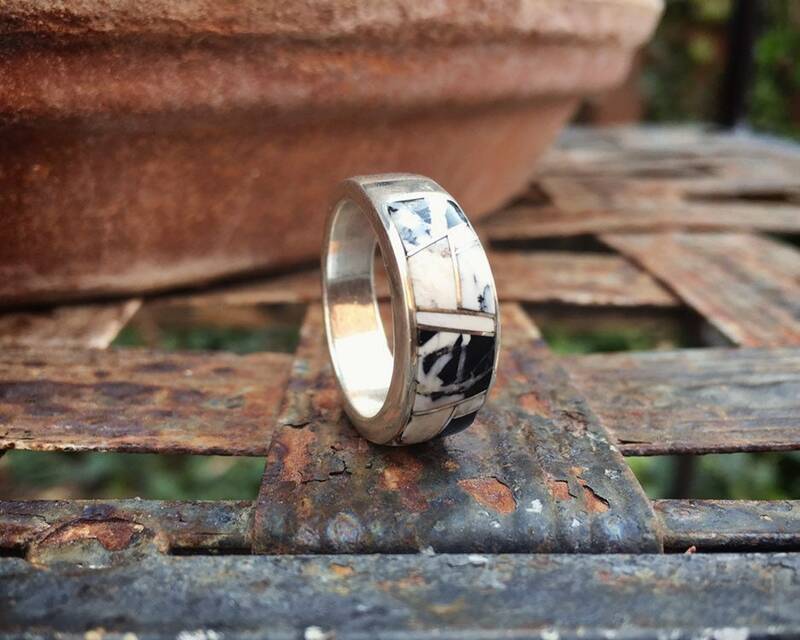 The face of the band is about 5/16" wide at the widest section. 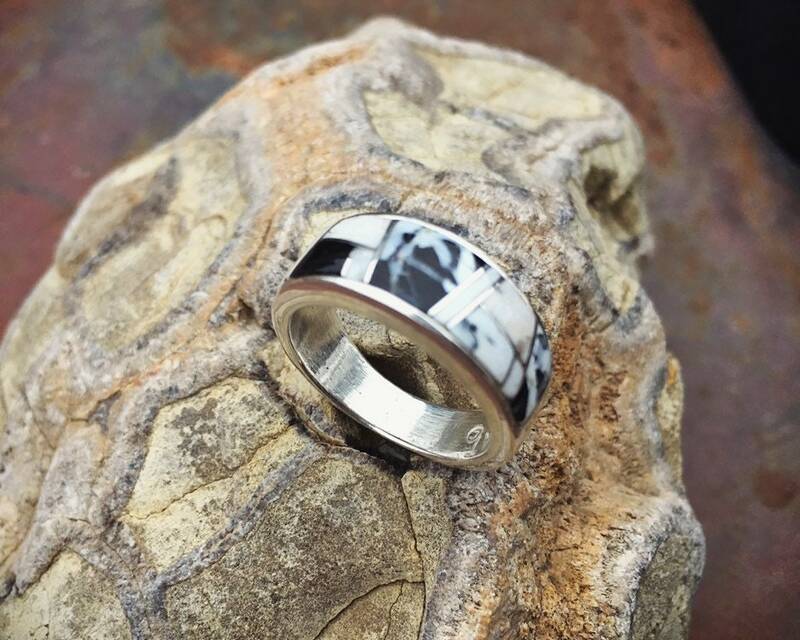 A great piece for someone who loves the feel and profile of a band versus a more traditional setting. In good condition.